How To Prevent Slick Spots On Your Sidewalk - Gutters & Guards, Inc.Gutters & Guards, Inc.
How To Prevent Slick Spots On Your Sidewalk. No matter how well the snow and ice are removed from sidewalks, parking lots and the surrounding streets, people will invariably encounter some slippery surfaces when walking outdoors in the winter. 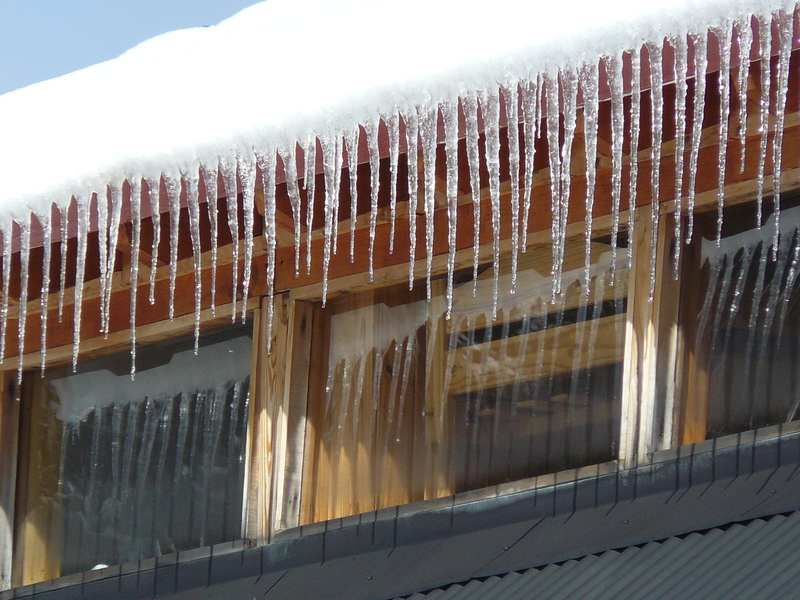 Many cold-weather injuries are the result of falls on ice-covered streets and sidewalks. Walking on snow or ice is especially treacherous. Pay attention to weather predictions in your area. This will allow you to buy shovels or de-icers if you do not already have them. It will also help you predict whether you will be dealing with freezing rain or light, fluffy snow which require different techniques. Apply a de-icer early in an ice storm, or a storm with heavy wet snow. You can choose between sand, rock salt, potassium chloride and other products. Keep up with shoveling once the snow starts if possible. If it is only a powdery snow, you can just brush it away with a broom. If you cannot keep up with it, just shovel it all away at the end of the storm. For more information about protecting your gutters or for a free estimate on gutter cleaning, repairs or adding gutter guards, call us today! Our experienced team will take the guess-work out of the process, and ensure that your home is protected.